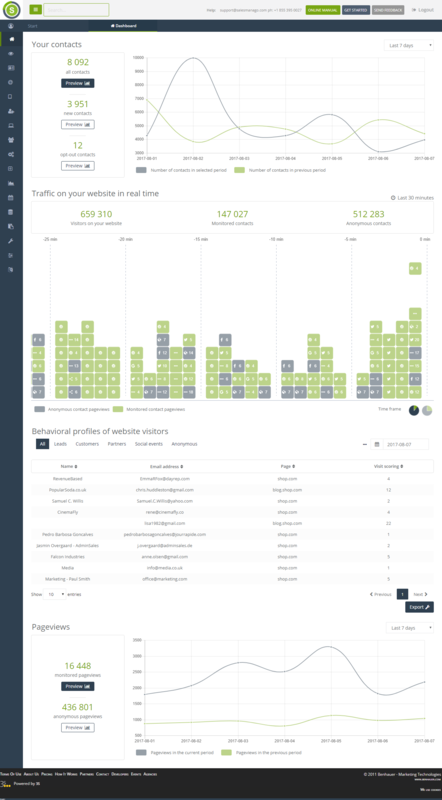 SALESmanago Marketing Automation enables you to monitor the behaviour of identified and anonymous users that visit your website. On the basis of identified behaviours the system will automatically create a behavioral profile of every identified website user. What you get is in-depth knowledge about the interests of a particular prospect at a very early stage of the purchase process. Technology for behavioral tracking – Monitoring of contacts in SALESmanago Marketing Automation has been made possible thanks to our innovative technology designed for behavioral tracking, which is supported by super-efficient data processing mechanisms enabling us to process millions of visits of particular contacts to our customers’ web resources. 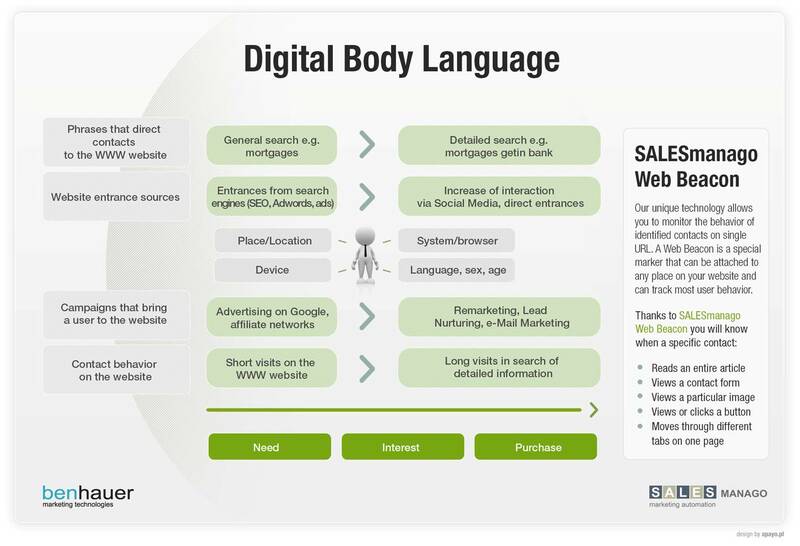 Digital Body Language is a new concept in the area of marketing automation related to the identification of customer needs. It enables us to profile and segment users on the basis of their behaviour while visiting the website. Visitors’ profiles are constructed by means of Digital Body Language, which is a set of facts obtained from every website user following the analysis of their behaviour. By monitoring the behaviour of users visiting a particular website marketers gain useful knowledge about current and potential customers. Any such knowledge may be later used for the purpose of automation as well as for supplying the sales team with customer information directly or via a CRM system.